For going to Thailand, firstly you need to check about the visa you need to apply. There’re many kinds of visa that allow you to stay in Thailand legally. All tourists traveling to Phuket and anywhere in Thailand must possess a passport valid for at least 6 months beyond their intended length of stay (Retirement visa requires at least 18 months validity). Thailand has over 30 International Immigration Check points, though most visitors to Phuket will clear immigration either at Bangkok (Suvarnabhumi International Airport) or Phuket International Airport. For full list of international check points please see www.mfa.go.th/main/en/services/123/15393-Visa-on-Arrival.html for contact information. Those who wish to stay longer or may wish to change their type of visa must file an application for permission at the Office of Immigration Bureau located on Government Center B, Chaengwattana Soi 7, Laksi, Bangkok 10210, Tel 0-2141-9889 (or at http://www.immigration.go.th ). The extension of stay as well as the change of certain type of visa is solely at the discretion of the Immigration officer..
Nationals of certain countries are required to apply for a visa only at the Thai Embassy or Consulate-General in their home/residence country or at the designated Thai Embassy. Therefor, travellers are adivised to contact the nearest Thai Embassy or Consulate-General to find out where they may apply for a visa to Thailand before departure. There are also quite a few other categories of non-immigrant visa (see list below). The different visa types entitle you to different rights concerning your length of stay in Thailand. In the past, Thai embassies and consulates were lax in issuing non-immigrant visas, however, tighter restrictions have been implemented requiring visa issuing authorities to enforce a check list of documents before a non-immigrant visa can be issued. These include a letter of invitation from the prospective employer including the company’s profile and tax registration information as well as a letter of approval from the appropriate government agency or department (i.e. ministry of labor or education). To work legally in Thailand you need to have a Non-Immigrant ‘B’ Visa as well as a work permit. However, you must have the visa first before you can apply for the work permit. If you are coming to work in Thailand you must obtain the visa before you arrive, and technically must have obtained the work permit before beginning work. It is recommended that you apply for a non-immigration visa in your home country. If you are bringing your spouse or children with you, they will need Non-Immigrant ‘O’ Visa. This visa type is a catchall category; the “O” is for “others”. This visa is also issued to foreigners who plan to retire in Thailand and can be converted to Non-Immigrant O-A (long stay) Visa. - to stay with the family, to perform duties for the state enterprise or social welfare organizations, to stay after retirement for the elderly, to receive medical treatment, to be a sport coach as required by Thai Government, to be a contestant or witness for the judicial process. – Passport or travel document with validity not less than 6 months. The validity of 18 months is required for one year visa application. 2.6 The applicant must sign on each page of the copy. 2.7 Documents in foreign languages must be translated into Thai. If translated into English, it should be notarized by notary organs or the applicant’s diplomatic/ consular mission. N.B. Applicants wishing to stay in the Kingdom longer than 90 days have to file their application either at the Thai consular mission aboard or at the Office of Immigration Bureau in Bangkok located on Government Center B, Chaengwattana Soi 7, Laksi, Bangkok 10210, Tel 0-2141-9889 (or website at (http://www.immgration.go.th ) . The consular officer must refer the case to the Office of Immigration Bureau for approval. Upon receiving approval, the consular officer may issue the visa as instructed by the Bureau. Non immigrant visas can be extended for up to one year without leaving the country, granted certain requirements are met i.e. work permit for B type, transcripts for ED type, and income proof for O type. Note that O category one year extensions have a minimum annual financial requirement of 400,000 baht in a Thai bank account or 40,000 baht monthly income based on support for Thai spouse and 800,000 baht or 65,000 monthly income based on retirement. Until recently, unmarried foreigners supporting a Thai child who met the 400,000 baht annum financial requirements could apply for and extend a Non Immigrant Type O visa, however, this option is no longer available, and requires foreigners under 50 who wish to extend a non immigrant visa on a yearly basis to be legally married to a Thai national. The new changes, however, allow foreigners over 50 with a Thai child (acting as sponsor) to qualify for a dependency extension with no minimum financial requirements. If you are already in Thailand, you generally need to leave the country in order to apply for a non-immigrant visa. It’s better to apply for a non-immigrant visa at a Thai Embassy or Consulate in Europe, Australia, North America, or in your country of residence rather than countries in the same region as Thailand. In addition, Consulates are often more obliging than Embassies, and applications can often be made by mail to the Consulate. This visa is valid for 3 months from the date of issue and allows a visitor to enter Thailand for a single period of up to 90 days after which they must depart. A further visit will require a new visa which can only be obtained from a Thai Embassy or Consulate outside Thailand. However, it is possible to extend the single entry visa a further 30 days without leaving the country by applying for an extension at the Immigration Office. The application fee is 2,000 baht (60$USD) or equivalent. This visa is valid for 12 months from the date of issue and allows a visitor to enter Thailand on as many occasions as required for stays of up to 90 days (unless extended) within the validity of the visa. Multiple entry visas can theoretically be extended for up to 15 months. To do this, you need to leave the country and return just before the 12 months is up. Your new entry stamp will entitle you to a further 3 months taking the total life of the visa to 15 months. The application fee is 5,000 baht (150$USD) or equivalent. The validity of this visa is for 36 months from the date of issue and allows for as many entries as required for stays not exceeding 90 days. 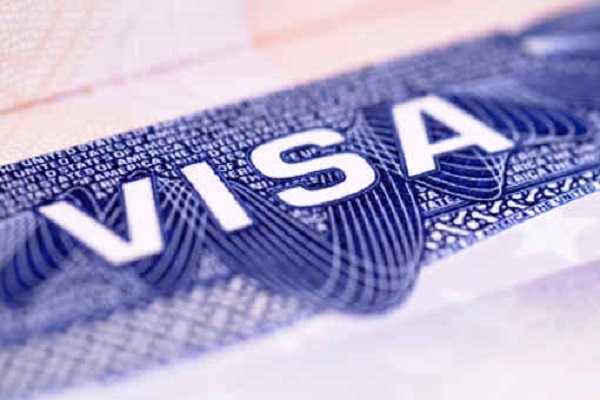 Just as the One year multiple entry visa, employment on this visa alone (without a work permit) is strictly prohibited. The application fee is equivalent of 10,000 baht (300 $USD) and relevant documents (i.e. business partner correspondence, tax records, etc.) may be requested during application. This visa can only be issued in a Thai Embassy or Consulate in your home country or one that has jurisdiction over your home country. Mass media visa (M), issued to accredited press representatives. Educational study or observation (ED). Expert visa (EX), issued to those performing skilled or expert work. Official visa (F), issued to officials on duty (involving the Thai government). Investor visa (IM), issued to foreigners who set-up their companies under the Board Of Investment. Investment and business visa through the Board of Investment (IB), subject to the provision of the laws on investment promotion. Others (O), including dependents and retired persons (O-A). Missionary work or other religious activities (R). Research and Science visa (RS). Participation in an officially recognized sports event (S). Anyone who is aged 50 or over is entitled to apply for a retirement visa in Phuket. Successful applicants must be certified by a lawyer or consulate, have a clean record, and either have had 800,000 baht in a Thai bank account for at least three months, or be able to show that they have a regular income of 65,000 per month – pension, bank accounts, stocks, etc. You can find more visa information at Thailand Ministry of Foreign Affairs. You can get a 60-day tourist visa before entering Thailand. You can obtain these from a Thai embassy or consulate in your home country. When you arrive in Thailand, enter the visa number on your arrival card and the immigration officer will give you a 60-day entry stamp on arrival. You can extend this by another 30 days at an immigration office in Thailand for a fee of 1900-baht allowing a 90-day visit without leaving the country. It is possible to get multiple tourist visas. These entitle you to two or three 60-day visits. However, between each 60-day visit (and optional 30-day extension) you must leave Thailand and then re-enter the country. The second option is to do what is known as a visa run. This involves border hopping from Thailand to a neighboring country and then returning to Thailand to receive another entry stamp. (These are becoming more and more frowned upon by the Thai authorities and you may be asked to provide evidence that you have an ongoing flight before you are allowed to re-enter the country.) You will receive another 30-days if you return by air and another 15-days if you return at a land border. The term visa run is a little misleading as what you are getting is not actually a visa – it is a visa waiver entry stamp. The main immigration office is in Phuket Town where you can extend your visa and make general visa enquiries. There is also a small immigration office in Patong but it has limited opening hours and services. (On Phuket Road near the entrance to Saphin Hin).